Federal Selling Group, LLC | Provides contract business development services with an emphasis on federal government projects. Provides contract business development services to increase revenue with an emphasis on developing relationships with new customers. 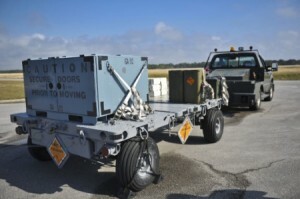 Federal Selling Group has been awarded a sole-source contract by the US Navy to deliver an XTE (X-Ray Test & Evaluation) system to the Naval EOD Technology Division. The XTE system comprises two pallets: XTE-1 and XTE-2, loaded with instruments and material simulating shapes and compositions, including contraband and security threats, found in air, sea and land freight. Here’s a image of one of the largest pieces of equipment ever built for a movable bridge. 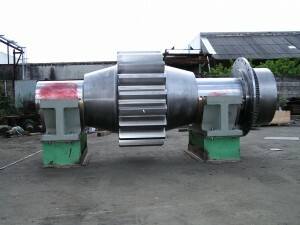 JC Machine made four such assemblies, each one starting out with a 27-ton shaft forging. By the time the machining was completed, ten tons of steel had been removed from each of the four forging to reveal a masterpiece of machining. 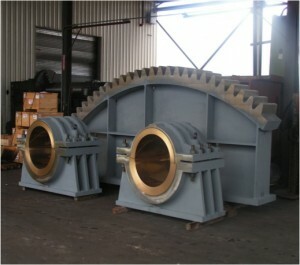 Two of these assemblies are required in each of the double leaf draw bridge spans. The US Army Corps of Engineers recently awarded a contract to JC Machine Works of Miami to machine and fabricate parts for the Wilson Lock in Florence, AL. 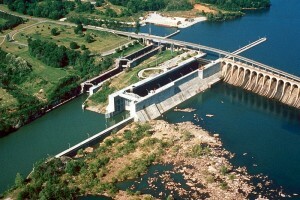 The bolts, bushings and pins are to be installed in the lock gate at the Wilson Dam on the Tennessee River. Federal Selling Group is proud to have assisted JCM in winning their prime Federal Contract. As small companies grow, the need for business development expertise increases. Federal Selling Group offers an alternative to expanding in-house staff by providing contract business development services. We invest our time in companies we believe we can help win new business. In addition to commercial business, we have experience in winning federally-funded contracts, either direct from the government, or by doing business with government prime contractors. Federal Selling Group is heavily engaged in networking with both federal agencies and prime contractors. Our CEO, Francis Chester, served as Chairman of the 2017-18 board of directors of the NC Defense Business Association (NCDBA), a network of over 250 companies working to increase defense contracting business in North Carolina. The members of this trade organization have a total of over 80,000 employees and have won over $1 billion in federal contracts. Chester also chaired the NCDBA Products and Services Committee, and serves as a director of the Sandhills Military Council alongside the NC Civilian Aide (Senior) to the Secretary of the Army. He’s also a member of the Society of American Military Engineers, Association of the United States Army, and American Legion. 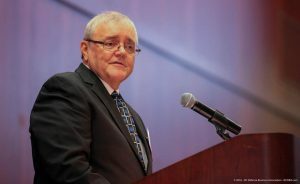 Through these connections, Federal Selling Group serves as an ambassador of our manufacturing partners to the military and civilian marketplace. 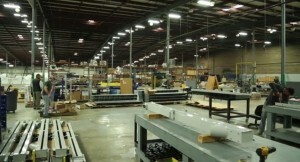 Federal Selling Group, LLC has long-established connections in the manufacturing world. We choose to represent a small number of clients, and we don’t represent clients that would be in competition with each other. Our clients are networked and offered opportunities to collaborate on exciting new opportunities. At this time, FSG represents four principal clients: Alotech, Inc. (NC); JC Machine Works, Corp. (FL); RCR Manufacturing Solutions (NC); and, Precision Technology, Inc. (PA). 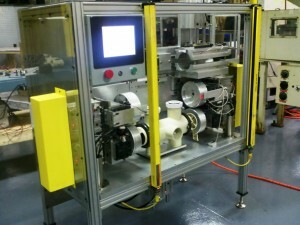 Alotech, Inc., a diversified contract manufacturer located in central North Carolina. Federal Selling Group provides contract business development services in both the government and commercial sector. Previous success includes winning a 5-year multi-award IDIQ contract with the USAF with a not-to-exceed value of $4.5 million. Other contracts range from water purification systems to machines for humanitarian de-mining operations. Machine & Equipment Design, FEA Analysis, Reports, Solid Modeling, Product Development, Solid Works 2010. • Systems include: Filtration, Reverse Osmosis and UV Disinfection. • Currently have systems operating in Cambodia, Haiti, Dominican Republic, Nicaragua, Brazil and Uganda. 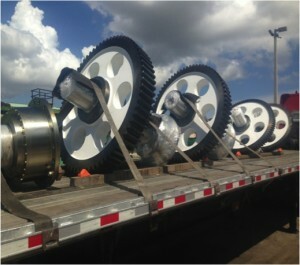 JC Machine Works, Corp. (JCM) of Miami, FL manufactures heavy machinery for a variety of applications, including moveable bridges, lock and dam equipment, waste to energy industry and sugar cane processors. 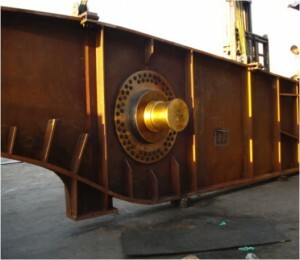 Being in the fabrication of drawbridge machinery for over 20 years, JCM has extensive experience in handling very heavy, bulky and irregular size components. 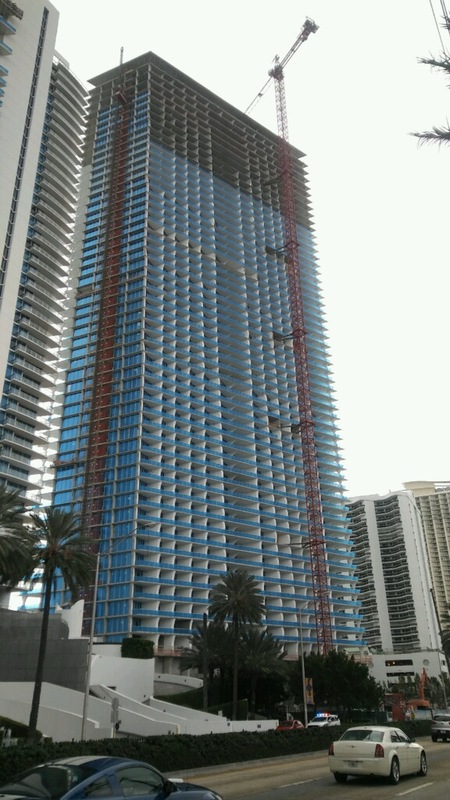 JCM utilizes in-house 40,000-pound capacity forklifts and contracted crane vendors to move the huge components fabricated in their Miami facility. With 3 acres of lay-down space including 39,000 square feet of manufacturing under roof, JCM can easily handle components over 40 feet long. The Miami facility has 2 bays: 200’ x 100’ and 190’ x 100’ that allows JCM to easily work and move large components inside the facility. 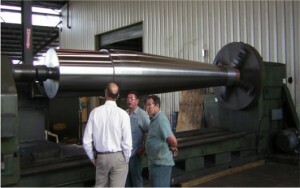 JCM can perform lathe operations to 102” in diameter by 25 feet between centers. For milling operations, JCM has a 144” x 144” Rotary Table coupled with a Floor Borer that has 40’ of travel. JCM is one of the few facilities in the country that can cut gears up to 27 feet in diameter with face widths of 56 inches. JCM’s talented workforce brings an average of over 30 years of experience to our customers with the result of 99% on-time delivery for the 500+ projects in the past 4 years. RCR Manufacturing Solutions, LLC, (RCR) a wholly owned subsidiary of RCR Enterprises, LLC of Welcome, NC. This major NASCAR Team owner is expanding their outside services business to include the defense market. RCR will not be building their trademark 200 mph vehicles for the Department of Defense; instead, they will be applying their extensive capabilities to design, engineer, fabricate and assemble a broad array of products from firing pins to ammunition trailers. 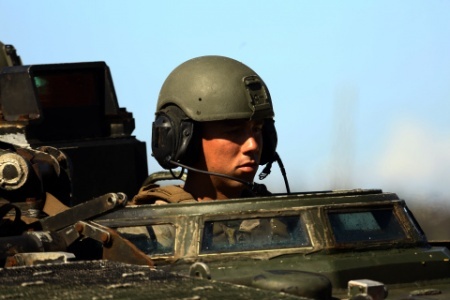 RCR is proud to be a US Defense Contractor and is an active member of the NC Military Business Association. RCR has the in-house engineering expertise to design, model, simulate, test and validate systems, sub-systems and components using mechanical, physical, chemical & structural methods. Specific concentrations include: durability, reliability, structural stress, electrical systems, fluid dynamics, fuel & lubricants, chassis, and powertrain & engine platforms. RCR has the capability to design, reverse engineer, prototype, and manufacture a wide range of complex components across a variety of materials – carbon steel, alloy steel, stainless steel, aluminum, titanium, brass, carbon fiber, fiberglass, and aramid & thermoset composites. RCR builds 80% of the components used at their on-site advanced 500,000 SF manufacturing facilities. By controlling the life cycle of the design, manufacturing and assembly process RCR maintains quality, consistency and durability of the components they produce. 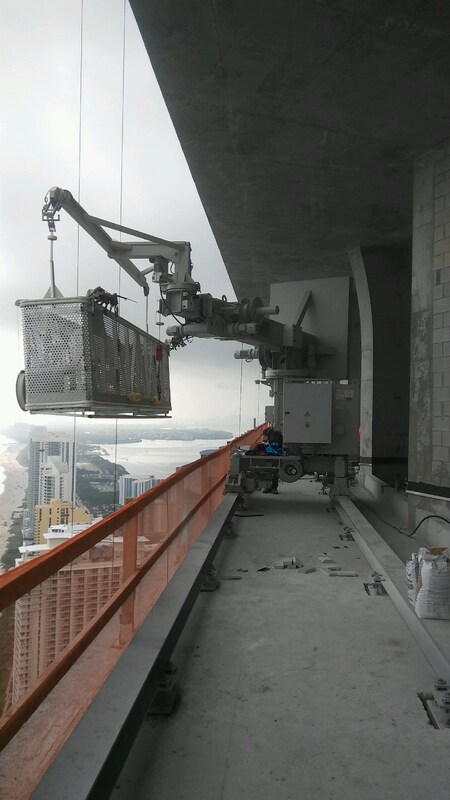 North American Construction Company (NACC) of Miami, Florida has a broad range of capabilities and experience in the maintenance, upgrade and rehabilitation of passenger boarding bridges. Interior finish repair and/or replacement including floor coverings and wall panels. NACC completed this bridge rehabilitation contract on schedule and within budget. As a result, MIA has awarded a new contract to NACC to perform work on an additional 20 passenger boarding bridges to include the replacement of rails and support beams. North American Construction (NACC), also provides construction services for civil projects. Turnkey solutions include both machine/fabrication shop work and field installation work. A union shop, it specializes in performing field installation and repairs of equipment and machinery to include structural steel erection and machinery alignment. It employs, iron workers and millwrights. 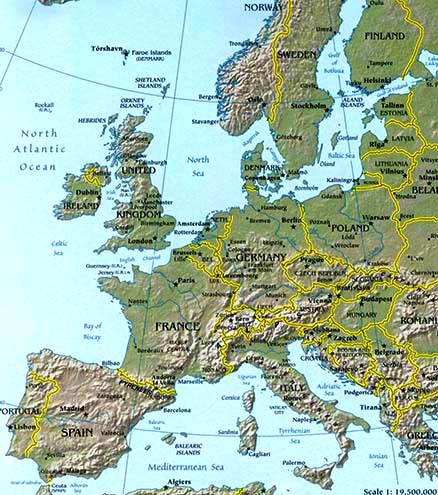 Federal Selling Group (FSG) has a European presence with an office in Brussels, Belgium. FSG partners with Egyptian Belgium Architecture Consultant, a union of leading European companies that incorporate modern aspects of architectural and engineering designs. I addition the services outlined above, FSG provides acquisition services for European businesses wishing to purchase goods from the U.S. FSG has relationships with financial institutions that may offer purchase financing through the programs of the U.S. Export-Import Bank (EXIM).